Whether you’re considering remodeling a powder room, guest bathroom, or master bathroom, bathroom remodeling one of our bathroom designers at Via B Design can help transform a frequently used space from simply functional to absolutely remarkable – a place to relax and regenerate. Looking for our Portfolio? Click here. Working with one of our designers Bianca or Kathleen is affordable and well worth the investment. We have the scoop on new trends, products, and materials. Saving you time and frustration is one of the many of benefits you will gain from working with us. 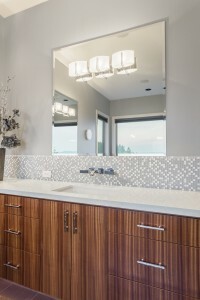 The goal in remodeling a bathroom is to improve the efficiency and function of the space while updating the aesthetics. This can be anything from a simple coat of paint, new cabinetry, and mirror, to a complete remodel including flooring and reconstruction. 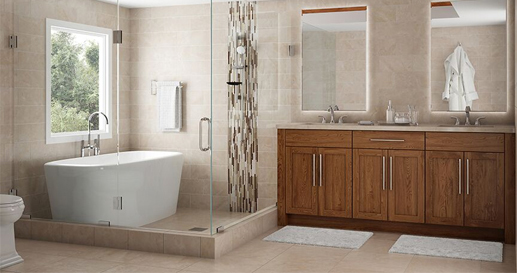 An out-of-date or cramped bathroom with poor lighting and little storage can be remedied by the right design. 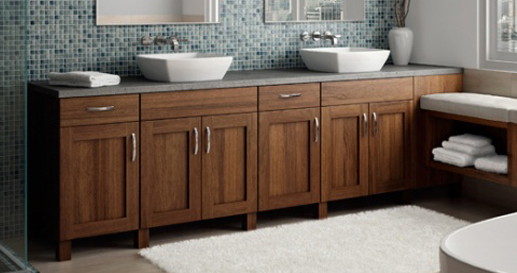 Style will meet function by choosing quality finishes that will be designed with a purpose. We will visit your home to take measurements and discuss your ideas for the space. A design is then created with a layout and perspectives of the room to really see what it will look like. Once we come up with a final plan an itemized budget is created. Once the budget is finalized we will work with your contractor to oversee the installation and placement of the cabinets and other design elements. Via B Design will guide you through the vast world of trending bathroom design versus design that is classic and will endure a lifetime. Design and product selection is narrowed down by your style, budget, and what can be featured in your project. Looking for ideas? Houzz.com, Pinterest.com, and HGTV.com are excellent resources to gather ideas for your project. These sites allow you to create an account and save your favorite images to share with us. 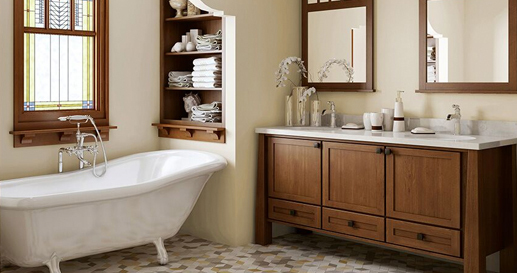 Get ideas straight from our bathroom designers. Follow us on Social Media! We are very active on Instagram and Pinterest.